UCHI COME BACK!!! :( i'm so sad that you were only in 2 episodes of GI!! and i've only seen 3 episodes and random clips of doremisora!! come back so u can be in more dorama!! i miss ur sexyness and cuteness!! and pouting/crying when u cant do something right! ryo needs your love too!! Animo Uchi, olvidate del pasado y vive el presente hacia el futuro. Such an amazing artist! What would life be without him.. Hope to see more dramas of this bright artist! convincing character in ganbatte ikimashoui as well as in TEAM. good acting skills. and kawaii ^^. looking forward to see him in more dramas. yay! One of the admirable celebs in the industry. Also got me to pay attention to NEWS and Kanjani8. (im)patiently waiting for his return. he is sooooooooo cute!!! 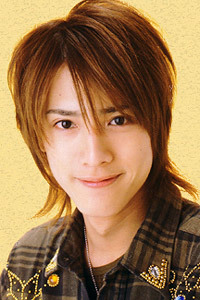 He is my favorite member in NEWS and Kanjani8, and he has a good voice, Uchi, come back!!! Ganbatte ikimasshoi is not the same without him.... v.v Come back Uchi!!!!!!!!! Sooo cute!! Number 1!! No one can top you, my angel!! Miss you so dearly, please come back soon!!! He was so good in the first episode of Ganbatte Ikimasshoi I wish he was in the rest of them. kawaii!!!! he's the next star that I'm looking forward too... hope he will back!!!! love him! He is very real a person and his acting is really great!! AND I LOVE HIM!! woh!!!! uchi.... 1 of my fav in NEWS and kanjani8. I Just Love this Hotty kawaii! !